I’m always looking for good, easy, nutritious snacks around here. Made portable? The best there is! 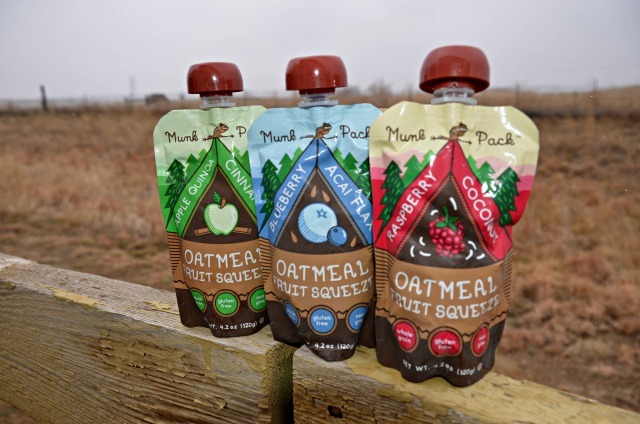 Today I’m happy to share Munk Pack Oatmeal Fruit Squeezes with you. Something a bit different that I am sure you will enjoy! A mix of Oatmeal, Flax and Fruit there is nothing not to love. Apple Quinoa Cinnamon – you won’t even taste that quinoa in there to pack it with protein and fiber, but I’ll tell you it tastes just like cinnamon applesauce…with benefits! This is my fav! Blueberry Acai Flax – filled with antioxidant-rich berries, this pack is easily and faster than making a smoothie! It’s Omega-3 packed and you won’t find anything artificial here. P’Diddy’s fav! Raspberry Coconut – great combo. Who doesn’t love both raspberries and coconut? 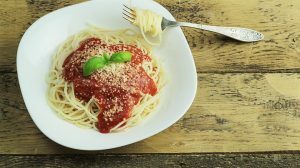 Find bits of both in this yummy mix! These portable packs are GREAT for a variety of reasons! You don’t have to refridge them at all, but we think they taste even better chilled. The Great Outdoors. 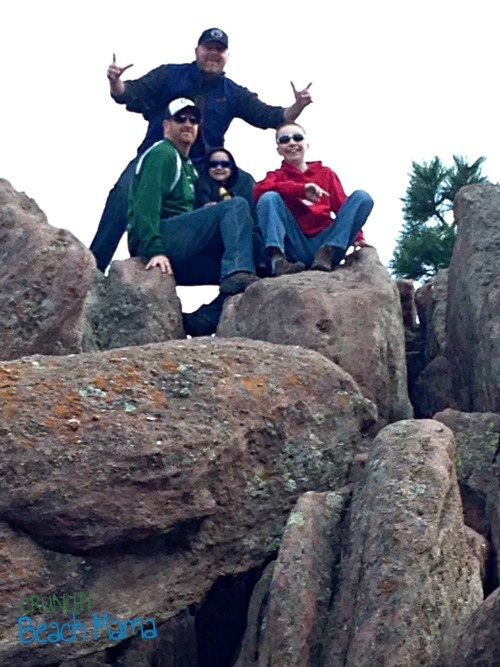 You know how we’ve become a hiking family. How can we not when there is so many places to climb! At least one of us carries a backpack with water and snacks and believe me next time you’ll find a Munk Pack inside to sustain our energy! Sports Snacks. C’Man is in basketball right now and P’Diddy in swimming. I always put a snack inside their gym bag! Quick Breakfast. This is definitely my type of meal. I am not a good breakfast eater unless I have something I can easily grab and eat as doing my morning chores. On the Go! Hubby has a good commute a few days a week and I’ve stocked his car with Munk Pack! Try out these Whole Food Munk Packs today! I received this product to help write my post. Opinions are my own. Amazon link is affiliate. Thank you! These would be perfect to grab and go! I think I'd like the blueberry best but my daughter would love the apple. These would be great on the go! I think this will pack fuel for me to just be able to keep up with my granddaughter! At 19 months old she has decided she wants to be a world traveler. She is all over the place and it takes a lot of energy to keep up with her. At my age I need all the help I can get. Thank you! I'd grab the Blueberry Acai Flax to take to the beach when I go sounds so good they all do! When we have an all day sports event with one of the kids. This would be perfect for our snowshoeing adventure - if it ever gets out of the negative! 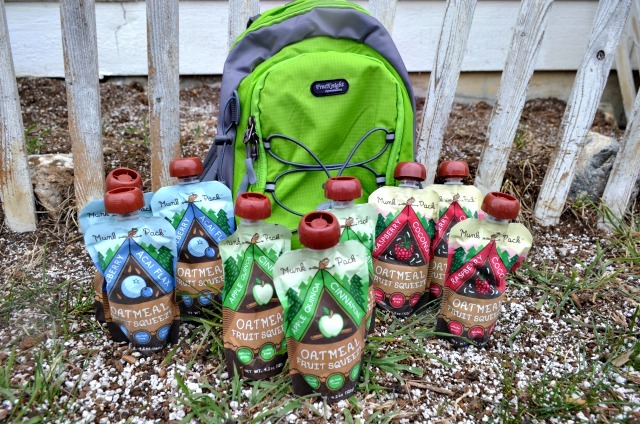 Oatmeal to go is the perfect breakfast to take on the way to the mountains to go snowboarding bright and early! I want to start walking with the grandkids this spring. The Apple Cinnamon Oatmeal sounds delicious but really want to try the other flavors as I am not sure I would Normally buy them to try. Fingers crossed! This will be a great start for my work day. This would be a great to-go breakfast. Thank you for the review! Hiking and gardening. Say No to gmo's. They would be good to bring on a hike. i'm a momma of a four year old~ every day is an adventure! :D these would be perfect for springtime hiking day trips, & also playgrounds, play dates & anything play related! :) thanks! Baby's first food adventure! She just turned five months and I was thinking of feeding her oatmeal for her first food?! This would be great to grab on the go for a quick breakfast. I think these would be a fun snack for camping or day hikes. These would be perfect for any of our family adventures. Easy to stow away in our packs. Great on the hiking or snowshoe trails. Can't wait to try these. Munk Pack would fuel a quick breakfast for me. playing outside with my kids! Will be good for the grandkids when camping this spring. It will fuel me when I go hunting. Awesomeness! Im going to try the Apple Cinnamon first. This would be perfect for camping. These would be a great breakfast for me! these would be perfect for our hikes to the library! As soon as it warms up and the snow thaws we plan to have a biking adventure with the family. These would be great to pack. When I'm outside doing yardwork. Playing with my dog. :) He gets me tired! I would have to say when I'm outside and need to be motivated to do cardio. These would be great to take cycling, important not to throw those bags on the ground though! We'd love to do a family camping trip! Munkpacks will fuel our family camping trips. Daily life with many children. These would be great for hiking. These would be for my daughters snack at school. Riding bikes to the park with the kiddos...thanks! I love to walk trails and these munkpacks are perfect for that! Lots of hikes and cross fit! Would love to try the Apple cinnamon one! it would be great for when i have long days including night class! what a great snack for the grandkids! These would be great for when we go hiking! Apple Quinoa Cinnamon would be my flavor of choice! These would be great for my trip to the mountains. These would be great for a snack when we spend a day playing at the park! I would hope for a healthier outlook to be in the future.